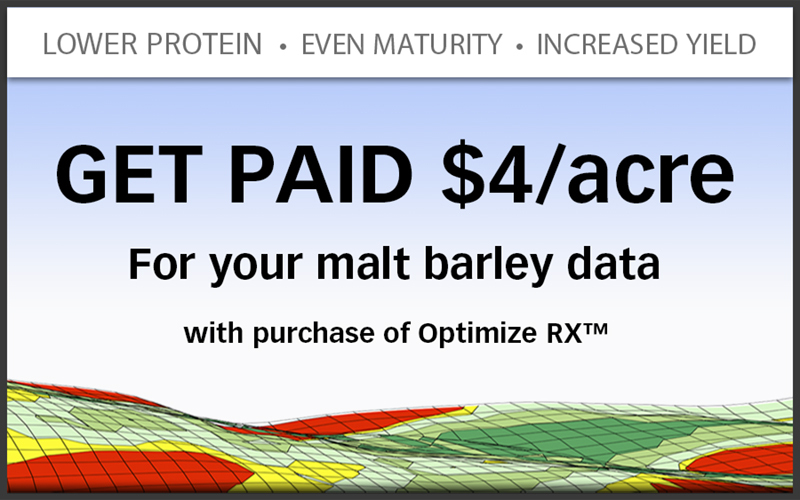 Decisive Farming is looking for growers who are currently NOT using Variable Rate Technology (VRT) on their malt barley acres, in order to further understand the impact Optimize RX achieves in the first year of implementation. 30,000 acres are available for the 2019 crop year and acres are available on a first come, first served basis. Program deadline is April 2019.